The courses offered by the Trakadoom Institute of Drums and Percussion are such that every person’s needs and aspirations are covered. We realise that not everyone wants to appear for Graded Exams or go through structured programs. We realize that while “Rock & Pop” graded courses and examinations are just what the doctor ordered for teenagers who want to form a band, a busy working adult in his thirties and forties has had enough of examinations for one lifetime! A working class executive, a businessman or an entrepreneur might on the other hand want to get introduced to playing drums casually and in a fun manner and maybe even inspired to start practicing with his son / daughter! And why not?! You are never too old to learn! A music producer or a Bollywood Music Director on the other hand might want to do a short course in Western drums and percussion in order to improve his grasp of rhythm arrangement in his music productions and may not want to ever play the drums in a live setting or form a group. A talented young artist on the other hand might want to go the whole hog and may be willing to put in the blood, sweat and toil and invest the time required to become a great jazz drummer one day! At Trakadoom - depending on weather you are a beginner or someone who has had some experience in playing drums, we kind of evaluate the student and start teaching him or her from where we feel is best in the interest of the individual student. In many cases we come across students who have been trying to learn stuff from you tube but for some reason interpret the lessons wrongly and then get frustrated and find themselves going nowhere. We at Trakadoom try to understand their problems, make them unlearn their wrong interpretations and start afresh. When a student comes to Trakadoom, immaterial of what level he or she is, we tailor make or kind of structure a course to fit the student in order to take the student forward and make learning fun. We start off with a three month course. Thereafter, if the student feels that he is learning and enjoying the class, he is free to continue or discontinue. That choice is entirely up to the student. Apart from Franco Vaz, Trakadoom employs the services of professional teachers who are specially handpicked and instructed by Franco Vaz . Understanding the music staff, repeat signs, and time signatures. Understanding note and rest values. Understanding straight and swing interpretations of the beats. Limb Independence ( the ability to maintain a steady rhythmic pattern with one or more limbs while executing different patterns with another limb or limbs). Please Note that full advance fees for the course will taken before commencement of the 1st class. Reservations for classes once paid are final and non-transferable. Requests for refunds will not be entertained. 1. Students have to be punctual and come for their class on time. If the student comes late, no extra time will be allotted to make up for the late arrival/lost time. 2. Fees to be paid on the DAY of the FIRST CLASS of the MONTH, in Cash or by Cheque. Cheques to be drawn in favour of FRANCO VAZ. 3. If a student misses class, for whatever reason, the same will not be adjusted. On the other hand, if the teacher misses a class, for whatever reason, you will be informed in advance and that particular class will be made up on a mutually convenient day or a refund/adjust the fees for that particular class. 4. 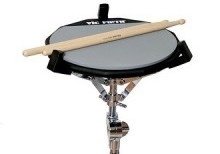 Students will need to carry their drumsticks, a single line note book (to write their drum/percussion lesson of the class), and a Manuscript book for every class that they attend. 5. No Attendant (parent or relative) of any student will be allowed in the classroom when the class is in session. Timings:-10.30am and 11.30am..from Tuesday to Friday..once a week .. Duration of batch ..One hour each..